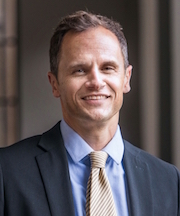 Sam has been a part of the CRI since May 2012 in his role as Associate Chief Research Informatics Officer, leading our faculty outreach and education efforts. In April 2013 he was appointed Director of the CRI and now leads our operations and strategic planning. 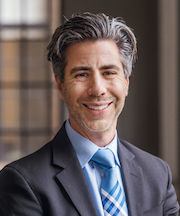 In addition to his work in the CRI, Sam serves the Department of Pediatrics as Associate Professor, is the Faculty Director for the Graham School Master of Science in Biomedical Informatics, and is an Associate Director of the Institute for Translational Medicine and a Faculty Fellow in the Computation Institute. His research includes using proteomics to study neuroblastoma, a pediatric solid tumor; applying bioinformatics techniques to large clinical datasets; and creating tools to improve provider communication and patient care. Michael has spent his career in the finance and project planning side of the software development industry. He has over 15 years of experience as a financial analyst and in managerial roles in high tech and higher education settings. In 2014 he brought his expertise in these areas to the CRI, where he oversees our financial and strategic planning, business development, communications, and educational programming. He earned his B.S. degree in Finance from Northern Illinois University and holds graduate degrees from Trinity College – University of Dublin and the University of Chicago. 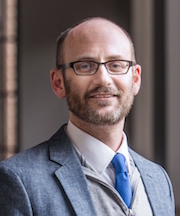 A graduate of the College, Brian has been a part of the University of Chicago community in various capacities since 1993 and with the CRI since its creation. After years of working on the systems administration side of IT within the Biological Sciences Division, Brian transitioned into software development in 2005 and has been focused on that ever since. Through his work in the Department of Medicine, Brian developed broad knowledge of clinical research data, clinical research applications, and the methods for effectively dealing with the complexities of this domain. Lessons learned in the course of this work proved vital as the CRI began development and operations in early 2011. As Director of Applications Development, Brian oversees a team of developers who are responsible for providing custom software solutions to the BSD research community. In addition to building applications from scratch, the applications development team provides maintenance and operational support for several open-source and third-party products, and has expertise in processing and merging data from disparate sources. Julissa, the CRI’s resident REDCap Administrator since 2012, is the point of contact for all REDCap inquiries at the University of Chicago. REDCap is a self-managed, secure, web-based solution designed to support data collection strategies for research studies. Julissa has personally guided many investigators with their study design and she takes pride in providing exceptional technical support. An active member of the REDCap Consortium, she attends REDCapCon annually to collaborate with other REDCap experts to further advance the use of REDCap here at the University. Prior to joining the CRI, Julissa developed and supported various applications at Motorola, Bank of America, and the U.S. Census Bureau. Jolo graduated from Northwestern University and joined the CRI in October 2014. He began as a Python and Django developer upon first starting at the University, but has since switched to coding in C# and using the .NET framework. His work focuses on the development and maintenance of web applications for the Department of Pediatrics Section of Hematology/Oncology as well as providing support for similar applications in other departments and the University’s Graham School. With a strong background in computer science and machine learning, Aswathy earned her MS in Computer Science from the University of Chicago in 2018. She first began working with the CRI during the course of her degree, when she volunteered to work on a project to predict the risk of infection in stem cell transplant patients. Now a member of our clinical data analytics team, Aswathy is responsible for developing data-driven prediction models of clinical data; performing statistical learning over large, disparate data sets; and building visualization tools. Keith is a software developer who has been with the CRI since its inception in 2011. He has a bachelor’s degree in computer science from the University of Iowa, a master’s degree in computer information systems from Northwestern, and a master’s in analytics from the University of Chicago. Keith is currently the lead developer on the 1200 Patients Project, a pharmacogenomics implementation that helps physicians make prescription decisions based on a patient’s particular genomic makeup. He is an author on nine peer-reviewed publications. Luca is a software engineer with experience across multiple industries. He has worked with self-driven drones, parallel computing algorithms, cloud platform systems, embedded systems, and hardware design projects. He received his Bachelors and Masters degrees in Computer Engineering from the Polytechnic of Turin, Italy and a Masters in Electrical and Computer Engineering from the University of Illinois at Chicago. Luca now brings his experience to the Gabriella Miller Kids First project, a multi-institutional effort to provide pediatric researchers with a much-needed way to work with large sets of genomic and clinical data related to childhood cancer in order to better predict and treat it. Kate received her Bachelor of Arts from the University of Wisconsin-Oshkosh and her Master of Arts from the University of Chicago Social Science Division. 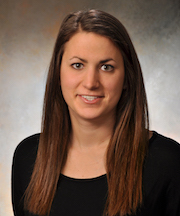 She previously worked for the University of Chicago Department of Radiology for five years where she served as the Analytics Project Manager, developing and managing innovative projects that supported the operational and quality improvement activities of the department. The details of several projects have been presented as posters at radiology or quality-centered events or accepted as articles in peer-reviewed journals. Her informatics-related interests include data standards development and management, QI/QA, and the role data visualization plays in storytelling strategies and discovery. 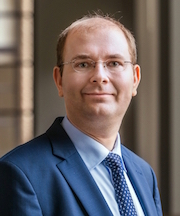 Tomasz received his Ph.D. in Computer Science from the University of Georgia, and obtained a Diplom-Informatiker degree from the University of Koblenz-Landau, Germany. Before joining the CRI in January 2015, he was a postdoc at the Toyota Technological Institute at Chicago (TTIC). Tomasz is interested in all aspects of software engineering and practical applications of natural language processing and applied machine learning. He is experienced with the development and deployment of scientific tools, databases, and web-based interfaces in a variety of programming languages such as Java, Python, and Bash to facilitate the processing of research data. 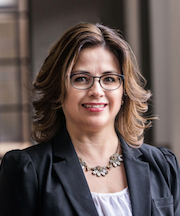 Monica joined the CRI in 2018 as the Pediatric Cancer Data Commons Program Manager. Prior to joining the CRI, Monica served as a research associate at the University of Chicago’s Center for Clinical Cancer Genetics and Center for Global Health, where she managed various local, national, and international clinical research projects and partnerships, and as a research and program evaluator at the Wisconsin Department of Health Services Office of Health Informatics. Monica graduated Phi Beta Kappa with a Bachelor of Arts in Sociology, Communication Arts, and Global Cultures from the University of Wisconsin-Madison and earned her Master of Public Health in Public Health Administration and Policy from the University of Minnesota-Twin Cities. Alex joined the CRI in August 2018, after completing his third year of medical school at the University of Chicago’s Pritzker School of Medicine. He currently draws on his medical knowledge to contribute to the development of the Pediatric Cancer Data Commons (PCDC), working closely with CRI software engineers to define data ontologies, harmonize and map clinical data, and design the data model for this international resource. 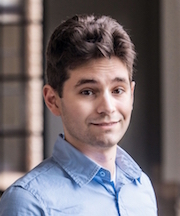 Alex is pursuing his Masters in Biomedical Informatics through the Graham School of Continuing Education and will return to Pritzker next fall. His interests include clinical informatics, standardized data ontologies, and addressing socioeconomic disparities in healthcare. Don joined the CRI in January 2017 to serve as system architect and technical lead on our clinical trials management system. He previously worked at the law firm Kirkland and Ellis LLP, where he was a Lead Developer/Architect focused on custom business solutions using the Microsoft technology stack. Don is well-versed in a variety of programming languages, including C# and Angular, and is a Microsoft Certified Solutions Developer (MCSD). His other interests include current client-side frameworks. Don is a graduate of DePaul University. 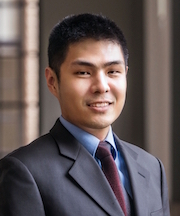 Jian is a graduate of Vanderbilt University and has been with the CRI since September 2016, building web applications to facilitate research. Previously, he worked at Dunn Solutions in Skokie, IL, where he was a consultant focused on building web applications for customers. Jian has expertise across a variety of facets of web development, including database management, front-end development, and back-end programming languages such as Java, C#, and Ruby. Jorge has served as the CRI Director of Bioinformatics since May 2012. With more than fifteen years of research and scientific leadership experience in academia and the pharmaceutical industry, Jorge is highly skilled in the creation and management of multidisciplinary research teams delivering products and services across a wide spectrum of scientific communities. 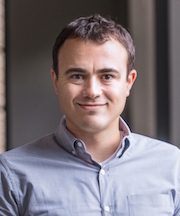 Jorge’s area of expertise is the development of bioinformatics, computational and biostatistics methods and tools for the analysis of large scale high-throughput genomics and genetics data. Jorge obtained a Ph.D. in Bioinformatics from the Royal Institute of Technology (KTH) in Stockholm, Sweden, and further post-doctoral training in genomics, biostatistics and bioinformatics at the Karolinska Institutet. Riyue (a.k.a. Sunny) is responsible for next generation sequencing (NGS) data analysis, biomarker discovery, and predictive modeling. She is experienced in the development of analytical NGS pipelines and identification of biological patterns in large datasets. Her primary interest lies in translating large amount of genomics data to clinical practices through an integration of sequence analysis and statistical models. She has worked on nationwide initiatives to identify causal mutations that predispose patients to increased risk of cancer, and to discover molecular targets that could potentially translate into personalized treatment and guide diagnosis. Riyue received her BS from University of Science and Technology of China and her PhD in biological sciences specialized in bioinformatics from Wayne State University. She has over ten years of experience in the field of computational biology and has published a number of articles in high-impact journals. Kyle’s specialties involve using a combination of quantitative genetics and next-generation sequencing to explore the genetic architecture of complex traits across time and space. Specifically, he is interested in unraveling the complex interactions between genotypes, phenotypes, and the environment to improve medicine, agriculture, and the sustainability of biofuels. In addition, he has extensive experience in implementing novel sequencing protocols (e.g., 2bRAD, 3’ tag-based RNA-Seq), working with non-model organisms, and visualizing complex “omics” data. 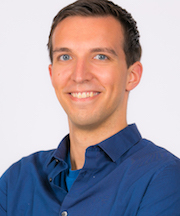 Kyle received his PhD from Purdue University and was an NSF PRFB postdoctoral fellow at the University of Texas. 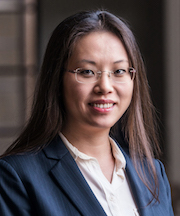 Wen-Ching joined the CRI Bioinformatics Core in November 2015. He has extensive experience in computational integration of large-scale genomic and epigenomic datasets, with proficiency in machine learning and data mining. His expertise includes integrative analysis on high-throughput data to profile genome-wide chromatin conformation as well as DNA methylation regulatory networks. In addition, he has conducted GWAS analysis focusing on identification of genetic variations on human diseases and has collaborative experience in employing statistical languages (R/SAS) to carry out mathematical modeling in clinical data research. Tzuni is guided by more than twelve years of experience in computational biology research when working on the research problems of CRI clients. He earned his PhD in Biophysical, Structural, and Computational Biology from the University of Texas Medical Branch. Prior to joining the CRI, he spent 5 years working with high-throughput sequencing data in non-model organisms at Texas State University. 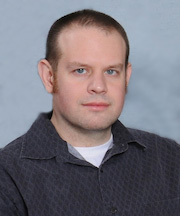 In addition to his extensive experience with bioinformatics analysis on commodity, HPC, and cloud computing infrastructures, he has begun to take advantage of modern web application development techniques to extend the impact of tools beyond the command line and to the general web user. Hong (a.k.a. Vincent) joined the CRI in December 2018. Prior to coming to Hyde Park, he served as a Bioinformatics Specialist for more than 3 years at the Research Resources Center, University of Illinois at Chicago, and accumulated extensive experience on a wide range of NGS data analysis projects, from single cell RNA-seq to Whole Genome Bisulfite Sequencing. His research interest lies in the application of machine learning methods in high-throughput genomic data, especially in Transcription Regulation and DNA methylation. He also has skills in proposal and grant support. Hong received his PhD in Bioinformatics from University of Illinois at Chicago and is a master candidate of Statistics at UIC as well. Lei joined the CRI in February 2013. With a broad background in bioinformatics and statistical machine learning, he specializes in the design and analysis of high-throughput genomics data generated by RNA-Seq, exome-Seq, ChIP-Seq, mRNA, and miRNA microarrays. Lei has authored or co-authored more than 16 peer-reviewed journal articles, three conference papers, and two book chapters since 2005. 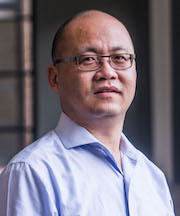 He holds a bachelor’s degree in Pharmaceutical Sciences from Beijing Medical University and a master’s degree in Medicinal Chemistry from Peking Union Medical College in China, as well as a master’s degree in Computer Science from Illinois Institute of Technology and a PhD in Bioinformatics from the University of Illinois at Chicago. Yan received her PhD in Bioinformatics (December 2013) and dual MS degrees in Statistics and Plant Pathology (August 2009) from the University of Georgia. 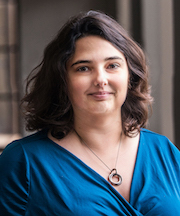 Prior to joining the CRI in 2014, she worked on multidisciplinary projects using advanced computational tools, statistical methods, and mathematical modeling to address a variety of questions across the biological sciences. Currently, she is focused on developing and applying bioinformatics computational software and pipelines to facilitate the analysis of Next Generation Sequencing (NGS) data. She works closely with faculty and researchers to explore genomics-associated biomedical questions, including the NGS data analysis of RNA-Seq, ChIP-Seq, small RNA-Seq, and exome sequencing. Wenjun joined the CRI Bioinformatics Core in 2012. He has extensive experience in developing web-based applications for clinical studies, molecular pathology labs, and project management. His areas of expertise also include biostatistics analysis, study design, and software development. Wenjun’s preferred languages are Python/Django, jQuery, MySQL for web development, and SAS/R for statistical analysis. He holds master’s degrees in Biostatistics and Health Informatics from the University of Minnesota. Timothy leads the architecture, development, and operations of the Clinical Research Data Warehouse (CRDW) team, whose primary focus is bringing disparate data sources into the CRDW and making this data available to the researcher community through a standard data request process. With advanced degrees in Computer Science as well as Social Science Research and Statistics, Timothy brings together data warehousing expertise and a deep understanding of research data. 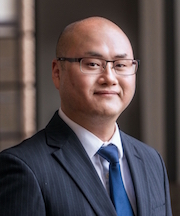 Prior to joining the CRI, Timothy developed research applications in the Department of Medicine at the University of Chicago, working on predictive statistical models and parallel processing algorithms. He developed social science databases for crime mapping in public housing and program evaluations such as the City of Chicago’s Community Policing program. Timothy aspires for the CRI to make a significant impact on the volume and quality of data available to researchers in the Biological Sciences Division through the efforts of the CRDW team. Tiffany has been with the CRI since 2012. She received her bachelor’s degree in Education from Northwestern University and her MBA from Keller Graduate School of Management. She also holds an advanced certificate in Project Management. Tiffany has used her expertise to manage and support projects across the CRI’s CRDW, Applications Development, and IT Operations and Infrastructure teams, as well as governance groups. George joined the CRDW team in 2015. While he has handled requests from numerous departments, the majority of his work focuses on gastroenterology, hepatology, and inflammatory bowel disease. He recently co-authored a paper demonstrating an association between zinc deficiency and IBD flares. His experience also includes building Cognos reports to streamline clinical trial recruitment and datamarts to support ongoing research data collection. George has a bachelor’s degree in Biological Chemistry and a master’s in Computer Science from the University of Chicago. Prior to joining the CRI, he worked as research assistant in the Section of Gastroenterology, Hepatology and Nutrition. Sheryl is the liaison between the Comprehensive Cancer Center and the CRDW and works to ensure that high quality Cancer Registry data is available for research in the BSD. She is responsible for integrating Cancer Registry data into the CRDW and creating special quality and reporting projects, such as Cancer Program Practice Profiles Reports. She also collects and reports data regarding cancer identification, treatment, and follow-up; oversees data quality in the Cancer Registry database; and provides Cancer Registry staff with education and cross-training. Julie has more than 15 years of clinical and healthcare experience as a nurse, analyst, teaching assistant, research assistant, and clinical program coordinator. As part of the CRDW team, she works directly with stakeholders to translate their research questions into optimized requests for the technical team. 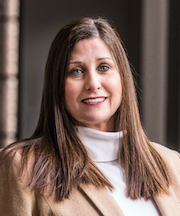 In addition, she is a guest speaker for the Office of Clinical Research’s monthly research series and an instructor for the Fundamentals of Clinical Research course and SPORT program. Julie is a 1999 graduate of Georgetown University’s School of Nursing and Health Studies, a 2003 graduate of The University of Illinois at Chicago’s (UIC) School of Public Health, and received her PhD in 2018 from UIC’s College of Nursing. 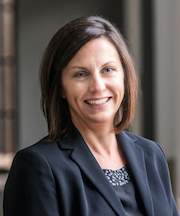 With a BS in nursing from Northwestern University and an MS in computer science from the University of Chicago, Stacie brings expertise in both the medical and technical domains of healthcare research to the CRDW data request process. She is responsible for quality assurance for most of the CRI’s data requests, and works with researchers to improve the quality of data requests, ensure appropriate data identification for cohort development, and create efficient and informed queries over disparate healthcare data sources. Prior to joining the CRI, Stacie was a healthcare analyst on the enterprise data warehouse team at Northwestern Memorial Hospital. 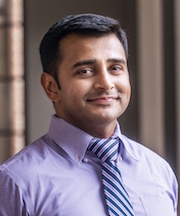 Anoop has expertise in computer programming, statistics, and machine learning. He received his PhD in Bioinformatics with a Minor in Statistics from Indiana University in 2013. 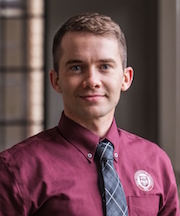 Since coming to the University of Chicago in 2013, he has focused his attention on healthcare analytics, specifically using large clinical data sets to understand and predict hospital events. He recently led the analysis of a large data set of 80,000 hospital admissions and developed a model that predicts an increase in risk for patients exposed to the adverse events of other patients. At the CRI, he oversees projects involving modeling and analysis of clinical data. He is also a Lecturer in the Graham School MSc in Biomedical Informatics program, where he teaches Applied Clinical/Research Informatics. With a strong education and professional background in information technologies, Tom is focused on the movement of data to and from the CRDW. He brings together disparate data sources, standardizes and organizes data for dissemination, and manages automated updating and delivery of data for ongoing research projects. Tom also handles ETL development, data investigations, query troubleshooting and optimization, database maintenance, and occasional application administration, and has worked on many ad-hoc efforts in and beyond research, such as for the Quality office. Michael holds degrees from the University of Iowa and DePaul University and has been with the CRI since May 2015. 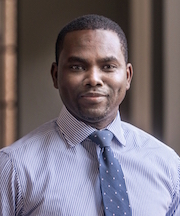 He has previously worked in consulting across a wide variety of organizations and verticals in the areas of reporting, data transformation and migration, and systems integration. Michael has extensive experience in SQL, a variety of Business Intelligence and reporting tools, and working with clients to define business and technical requirements. Other areas of interest include data quality/data profiling, data warehouse architecture and design, and technical documentation. With more than fifteen years experience in IT for research and higher education, Thorbjörn leads the CRI’s work of operating, expanding, and improving our secure computing infrastructure. He works closely with the BSD Information Security Office to ensure that the CRI’s resources and services remain the most secure and compliant available. 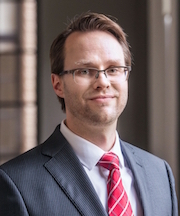 Prior to joining the CRI in 2014, Thorbjörn was Associate Director of Enterprise Infrastructure at the University of Kansas. He has a broad range of IT expertise, with a background that includes management, research support, IT infrastructure on all levels, security, project management, IT architecture, and software development. Thorbjörn has a Master’s degree in Computing Science from University of Gothenburg, Sweden, and is particularly interested in research computing, IT architecture, and IT security. Andy has more than fifteen years of IT experience in industries including information security, auto parts manufacturing, and internet service providers. As Manager of Infrastructure and Security with the CRI, he manages, deploys, and collaborates on the design of the VMWare, Linux, and Windows systems throughout our environment. 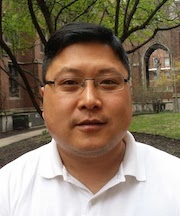 Andy also serves as a TA for the Graham School MSc in Biomedical Informatics program. When he’s not working with the University, he enjoys going to the gym and spending time with his family and friends. Mike Jarsulic is a graduate of the University of Pittsburgh and has been with the CRI since September 2012. He previously worked at the Bettis Atomic Power Laboratory in West Mifflin, PA, where he was a scientific programmer focused on modernizing thermal/hydraulic design software before moving into High Performance Computing. Mike is well-versed in a variety of programming languages including Fortran, C/C++, Java, and Perl. His other interests in HPC include distributed memory programming, compiler optimizations, and long-term reproducibility of results. Sneha has six years of extensive experience in VMware and IT Administration and has worked on complicated projects involving data center migrations, VSphere upgrades, and virtualizing environments from scratch. In addition to working on challenging projects like Disaster Recovery, she supports prominent BSD professors, doctors, and bioinformaticians by providing them secure platforms (Redhat, Windows Server 2008/2012) to build their applications and backing up their data using TSM. Sneha has a bachelor’s degree in engineering from India and a master’s degree in computer science from NJIT, and is currently pursuing second master’s in business administration from Booth School of Business. She is an avid traveler and likes to read and meditate. Olumide has over 15 years of extensive experience in IT design, integration, and management of enterprise systems and services. He has been with the CRI since 2012. He previously worked with Accenture LLP as a Solutions Quality Engineer, deploying and maintaining physical and virtual servers and storage systems as well as performing application and database deployments for quality assurance and testing. He was responsible for the migration of over 300 servers to a cloud infrastructure. He also worked as part of a technical project team in the United Nations Office on Drugs and Crime, setting up three data centers and performing system deployments. He currently manages the CRI storage and backup infrastructures with over 1.7PB of data, and leads the help desk team. In his spare time, he enjoys making music. Joe has more than 15 years of experience in various IT roles from support to architect, with a constant focus on automation. He has worked with audit and compliance frameworks for data security and financial services, including SOC 2, Sarbanes-Oxley, and Gramm-Leach-Bliley. Most recently, he worked in the SaaS world with a focus on on resiliency and scalability. Outside of work, he focuses on analog hobbies like fermentation and growing food. Caitlin has been with the CRI since 2012 and has had a leading role in establishing our website, communication strategy, and educational programming. She writes, edits, and designs both print and web content for the CRI and related initiatives. Caitlin received her Bachelor of Fine Arts in Writing, Literature, and Publishing from Emerson College in Boston, MA. Her writing has appeared on Food52.com. In her spare time, she teaches vinyasa yoga. Lois joined CRI in August 2017. 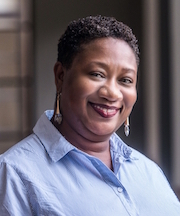 In her previous position, she assisted the 2016 president of the American Physical Society in formulating his presidential platform, focusing on diversity initiatives. She also developed a significant portfolio in national science policy matters. Lois recently started graduate studies at the University of Chicago, with the intention of earning a PhD in environmental chemistry. Her interests include science policy and public outreach, women and URMs in the STEM pipeline, and sustainable development.